Provides 4 star Scottish Farmhouse B&B with optional dinner here at the eastern gateway to The Loch Lomond & Trossachs National Park. Very much a family run guest house specialising in restful breaks in a quiet countryside location away from the stress of day to day living. The farmhouse nestles in the heart of the Trossachs with stunning views over green fields to rolling hills. The backdrop is the ever changing "Ben Ledi" and the only traffic around is the sheep and cows in the nearby fields. The house is over 150 years old, stone built with thick walls but with every modern convenience including wireless internet access. The rooms are spacious and very comfortable with all amenities to hand. All rooms have Tea and Coffee making facilities. Take a minute to view them and see how we can assist you with your requirements. Right on our door step, the new cycleway (SUSTRAN 7) provides very easy cycling on a nearly level disused railway trackbed from here to Killin. 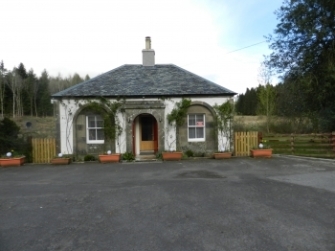 Forest enterprise have provided cycle friendly pathways through the forests, and besides this, there are many easily accessible and enjoyable walks and tracks in the woods and hills surrounding Auchenlaich Farmhouse here at Callander. Aberfoyle Bike Park is now open. Get ready for berms, table tops, jumps, rocks, step-ups and drop-offs in a progressive bike park catering for all ages and abilities. Or for the more adventurous mountain biker,all grades of trail can be found at Comrie Croft Trails. We have storage and washing facilities for your bikes! Trossachs attractions and activities are in easy driving distance. 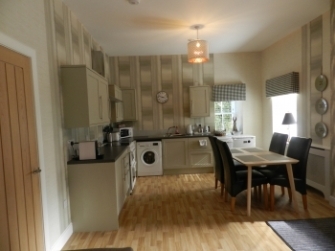 Auchenlaich is only a third of a mile from the main road, 1 mile from Callander Village, 14 miles from Stirling and 45 miles from both Glasgow or Edinburgh. This makes us very centrally situated and a perfect base for touring. 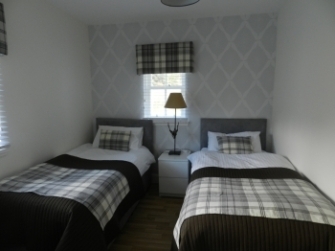 Superior King or Twin rooms fully en-suite (travel cot can be provided for under 2's). Treat someone special in your life to one of our romantic packages. Enjoy a night or two in one of our Superior rooms with the additional extras of hand-made chocolates, bottle of wine, fresh flowers & fruit. Top it all off with a candlelit meal for two in our delightful dining room. 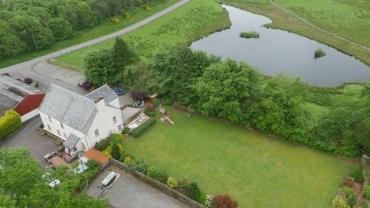 Auchenlaich Farmhouse makes the perfect base for touring the countryside as it is within easy reach of Stirling, Bridge of Allan, Perth, Dundee, Oban, Fort William, Edinburgh and Glasgow. The Local Golf course is 5 minutes away. Lochearnhead and all its watersports is 15 minutes away, fishing and hill walking all around within 5 - 10 mins. Pony trekking 15 mins away. So, whatever your leisure preference, you will find it nearby. 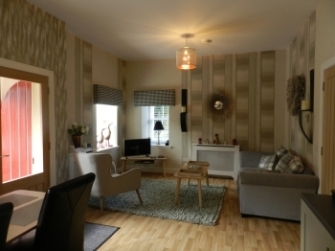 New self catering accommodation at The Lodge House Callander. 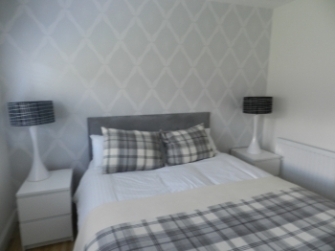 Fully refurbished sleeps 4. Call or email for details and rates. Minimum 2 night stay. See what we offer and email your enquiry for our best rates. Please contact us on 01877331683 or by email to auchenlaichfarm@btinternet.com should you have any queries or complaints.